Fellow Speedhunters, here's my synopsis of the cars in GT300 and their performance so far this season as we prepare for the 'away' race at Sepang in two weeks' time. 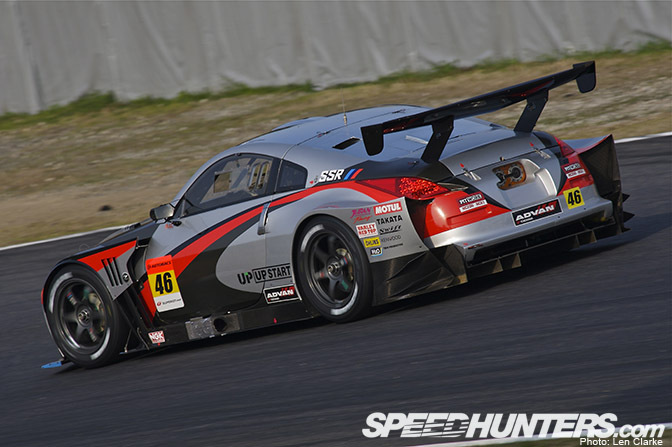 Leading the charge in GT300 is the MOLA Fairlady Z of Naoki Yokomizo and Tsubasa Abe. The pair earned podiums in the first two races of the season, though ended up outside the points at Fuji. With one of the strongest teams in the class, they should provide strong resistance to their rivals throughout the rest of the year. 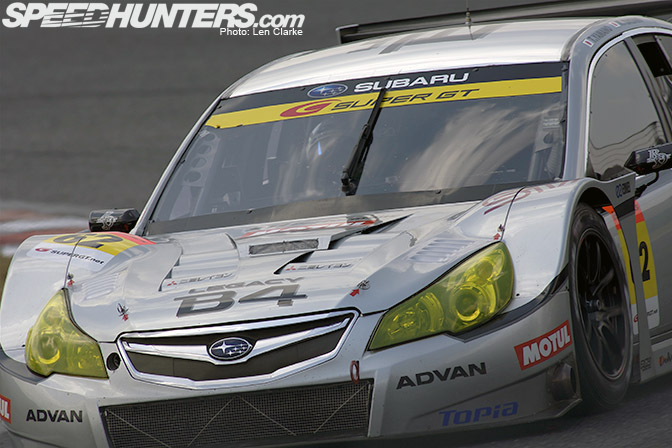 Next up, the #74 Corolla AXIO apr GT, coming off its recent first victory at Fuji. Two examples of the car debuted last season, showing occasional promise. This year got off to a slow start with 8th at Suzuka and 9th at Okayama. I wouldn't bet on them ending the season in a position this close to the front – but brilliant win at Fuji. A team that cannot be overlooked is the #3 Fairlady Z from Hasemi Motorsport, the squad moving back to GT300 this season after a few years in GT500. The last time Hasemi contested the class (in 2003), they won it. Drivers are also two of the best in the class, Kazuki Hoshino joined by former NISMO factory driver Masataka Yanagida. A fifth, third and another fifth -place finish so far this year show their consistency as well as pace. 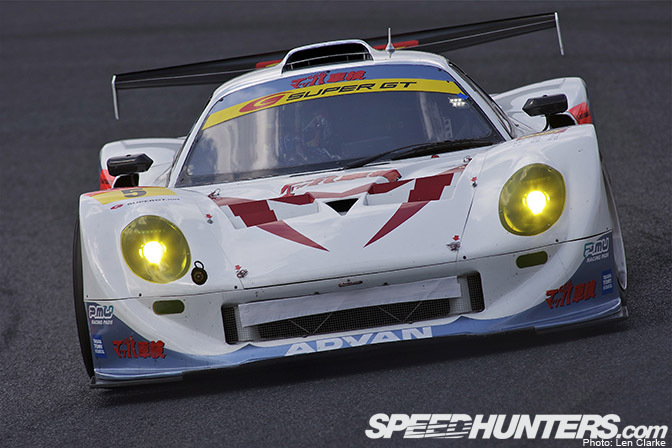 One of the perennial favourites in GT300 is the Re: Amemiya RX-7 and their drivers Nobuteru Taniguchi and Ryo Orime. The pair adopted a very clever no-tyre-change strategy at Suzuka for the season-opener, and waltzed to the win in convincing style. They haven't scored since, but that doesn't mean they won't. The car has won before in Sepang, and the team will no doubt be pulling out all the stops for a repeat of former success. 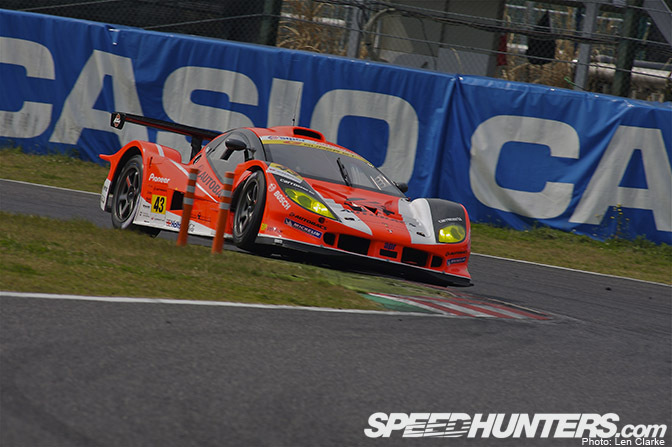 Another one of the mainstays in GT300 is the ARTA Garaiya, piloted by two of the most popular drivers in SUPER GT. Morio Nitta and Shinichi Takagi have been teammates for something like 10 seasons, and have taken more wins as teammates than any other pairing in the class. 2nd place is the only major result so far this season, but they're always there or threreabouts, never ones to be counted out. 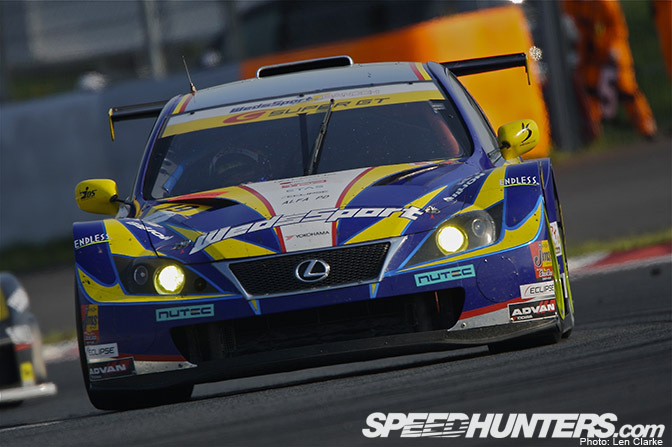 The reigning champions in the class are of course Manabu Orido and Tetsuya Kataoka in the WedsSports Lexus IS350. It hasn't been the dream start to the season many would have liked, but despite their mediocre points haul this pairing is one of the fastest on track. The Mooncraft Shiden has scored only once this season, though it was a gallant effort by Hiroki Katoh and rookie Hiroshi Hamaguchi that netted the pair 2nd place at Okayama. 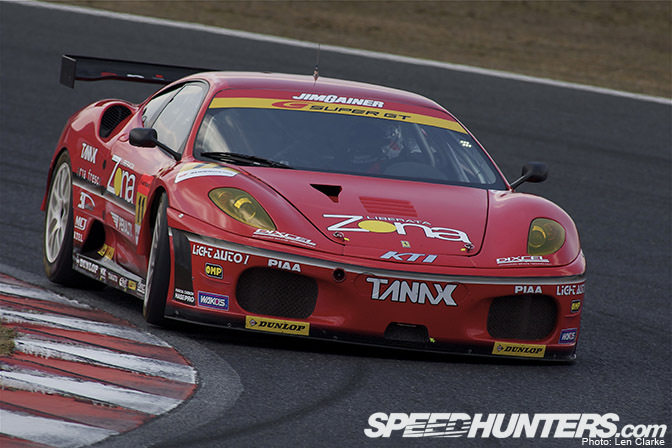 With the car taken out in a first-lap incident at Suzuka, the Okayama round was Hamaguchi's first race mileage ever in SUPER GT. Great result! This car has also been strong at Sepang, and with only 30kgs' ballast onboard, they could be a pair to keep an eye on. 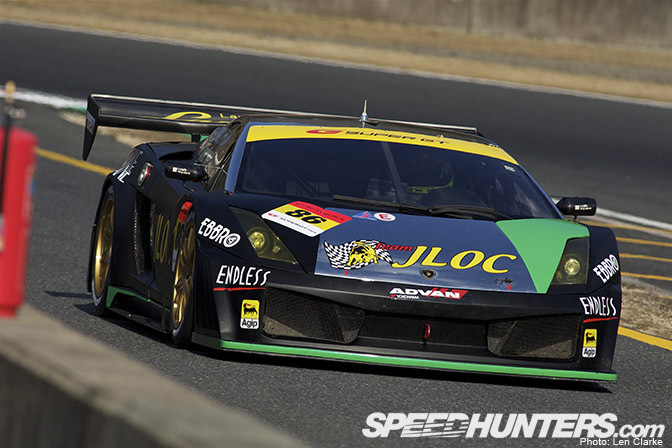 Eighth in the GT300 rankings is the #86 Lamborghini from JLOC (Japan Lamborghini Owners' Club). Driving the matte black Gallardo is long-time JLOC pilot Koji Yamanishi, joined by Yuhi Sekiguchi. Yamanishi took his first-ever pole position at Okayama, the pair bringing the car home in a respectable fourth place after issues during the race. Next up is one of the new cars for this season, the triple a Aston Martin VANTAGE GT2 of Hiroki Yoshimoto and Hideshi Matsuda. Unable to start the opening round (after qualifying 15th), they began in 10th at Okayama and then qualified 4th at Fuji. 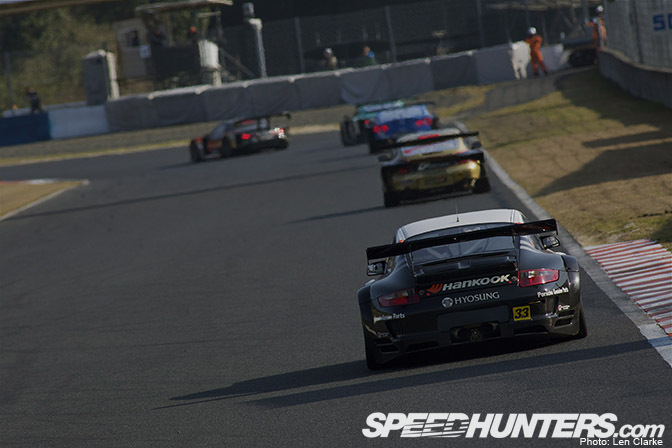 Yoshimoto put in a dogged drive in the opening stint to lead the class after only a few laps. 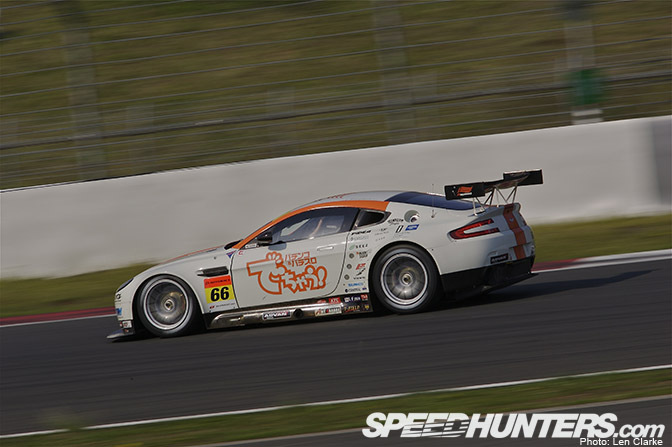 The car went on to record its, and the first ever, podium finish for an Aston Martin in Japan. The team heads to Malaysia in top spirits, though like all the circuits visited so far this season, the track is new for the car. Former GT500 Driver's champion Tetsuya Tanaka and Honda NSX refugee Katsuyuki Hiranaka haven't had the strongest start to their season, though always put on a strong showing in the races. Seventh and sixth-place finishes don't do justice to their skill level. A podium finish can't be too far away. 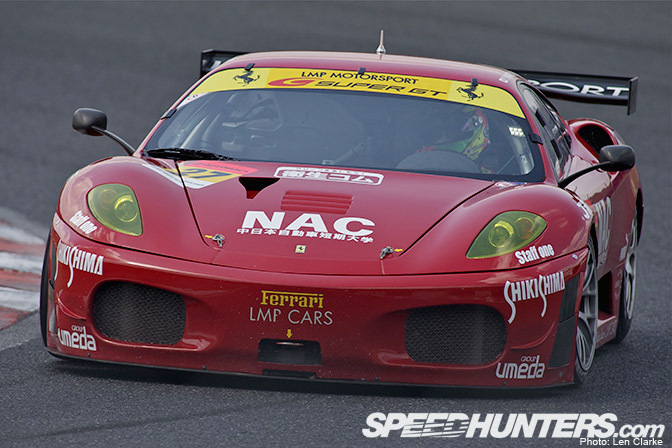 The Mach GoGoGo Vemac 408R is the last of the marque in SUPER GT, and scored 4th at Suzuka. 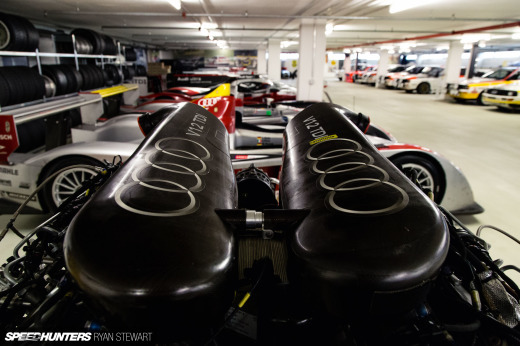 This example is powered by a 3.6-litre N/A Porsche powerplant. IRL returnee Kosuke Matsuura and Koki Saga are teamed up in the other Corolla Axio, the #31 Evangelion machine. Their best result is 5th at Okayama. Last year as a spot entry, this car was hugely successful with poles and wins. As a regular entrant this season however, things have been a little tougher, resulting in a best score of 6th place. The driver pairing is top-notch though, former GT500 champion Masami Kageyama joined by Mitsuhiro Kinoshita. 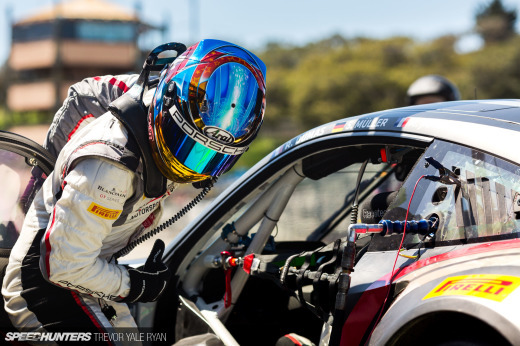 Owner/driver Yutaka Yamagishi and his team have moved up from the 911 GT3 RSR they campaigned last season – and the results have jumped too with a pair of points-finishes already in 2010. 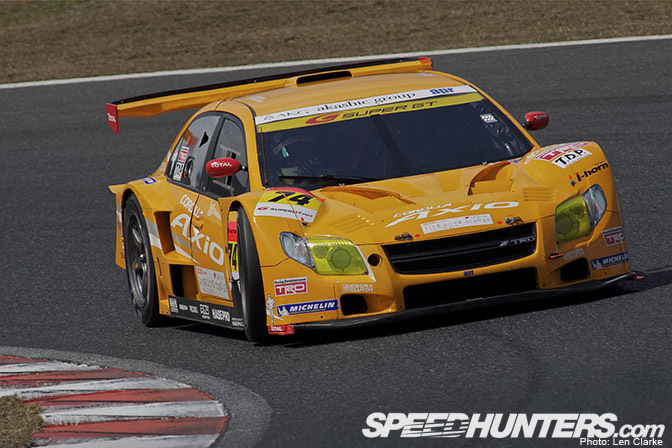 Though still without any points on the board, this car has the hopes of more GT300 fans than probably any other. 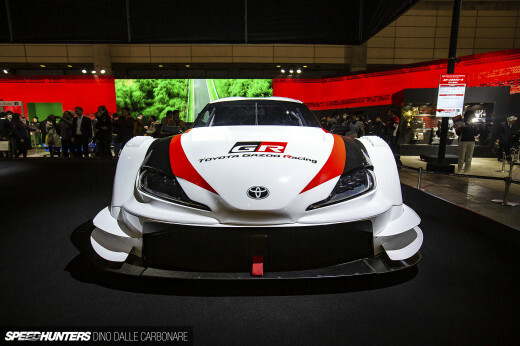 There is massive support for the STI-backed programme run by R&D SPORT, and the car is now regularly 1.6 – 2.0 seconds from pole, whereas at the end of last season it was 6 seconds away. 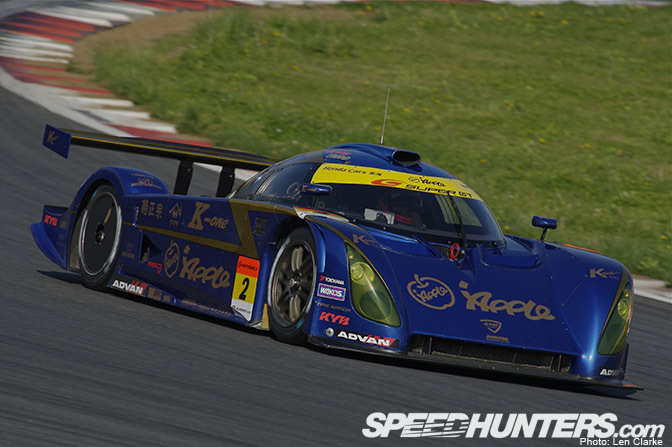 And finally, SUPER GT's first foreign-owned and non Japan-based team, 365 ThunderAsia Racing and their Mosler MT900M. Owner/driver Melvin Choo and teammate Tim Sugden haven't yet finished an event in their 2-round 2010 campaign, but Sepang could be the place they make it to the end. Melvin's raced there far more often than at any of the Japanese circuits, and some familiarity may be just what the team needs. 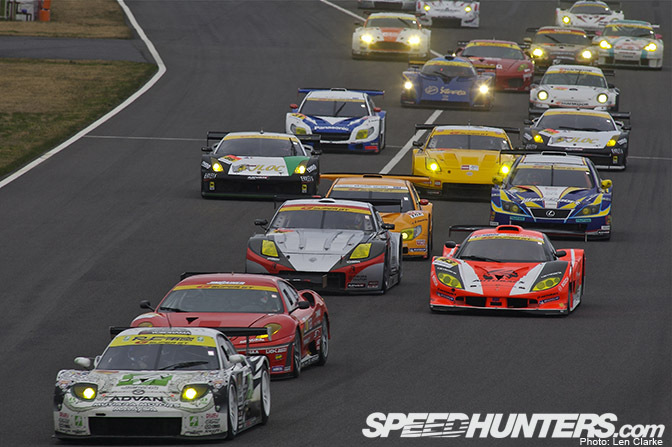 Well, that's it for my early season assessment of the teams and drivers in SUPER GT. Stay tuned for my Sepang preview post at the end of the week. 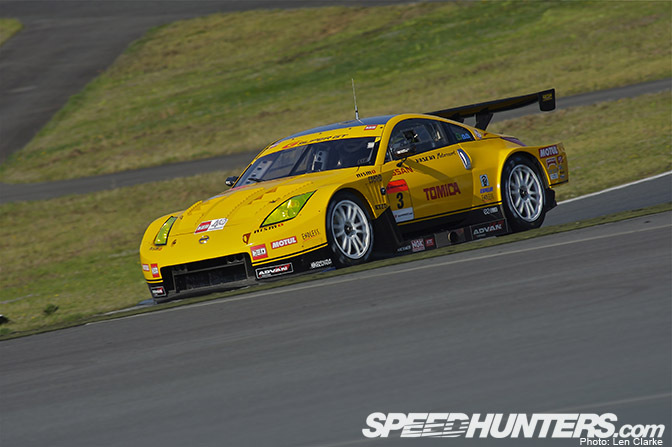 The Odd Sprint race in the Super GT series would see very different results from all cars. How about a mix of events with 3 Races of 100klms on the same day. Exciting? Remember tyres have changed dramatically since 2004 and if the chassis stays the same. It's not good. The car can run fast with canards and extra aero, but they don't run them because the car destroys the tyres too quickly. So they are left with compromise from an old chassis. New cars car run fast and protect the tyres. engine bay shots of anything? Yes, the FD's days are numbered unfortunately. Mazda should dust off the Furai and give it for RE-A to campaign. What about the RX8 then? Pretty sure they can do something useful with the SE chassis. I mean they are after all running a tri-rota engined RX8 silhouette racer in BTCS.